In the last post we saw how C# uses single-dispatch to select the methods to call. The argument type is determined at compile time and that is used to select the method out of many. You will notice that Accept method is resolved using the run time type of Employee object - this is the first dispatch. Then in the Accept method we use (this) so that appropriate method is called on the visitor - this is the second dispatch. Since Accept is inside the class, we use the type of (this) to call the visitor. What do you think about the GetEmployeeType() method that will be called - will it be on Employee class or Manager class? Since Employee object 'e' points to Manager, it will call the GetEmployeeType of Manager class. Since the object is of type Employee the CalculateSalary accepting Employee will be called. Taking this further, let's move the CalculateSalary to a class. As you can see, CalculateSalary(Manager) is not at all called. This is because the method to call is decided at compile time and the declared type is used to identify the method not the runtime type. Another way to resolve this is to use Visitor pattern. EDIT: Post that implements Visitor pattern to resolve this problem. 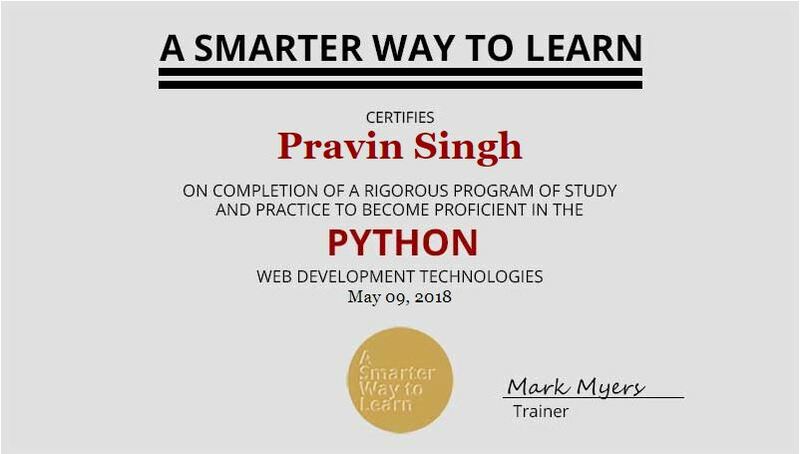 I purchased Kindle book: "A smarter way to learn Python" and completed all its exercises. Finally I got the certificate from the author: ye! Set a default value for a parameter in the method definition by using "=" sign. In this example, the second_num parameter defaults to value of 5. You can skip passing in second argument and the function will run fine. If you don't want to use default value of 5, then call the function the usual way.